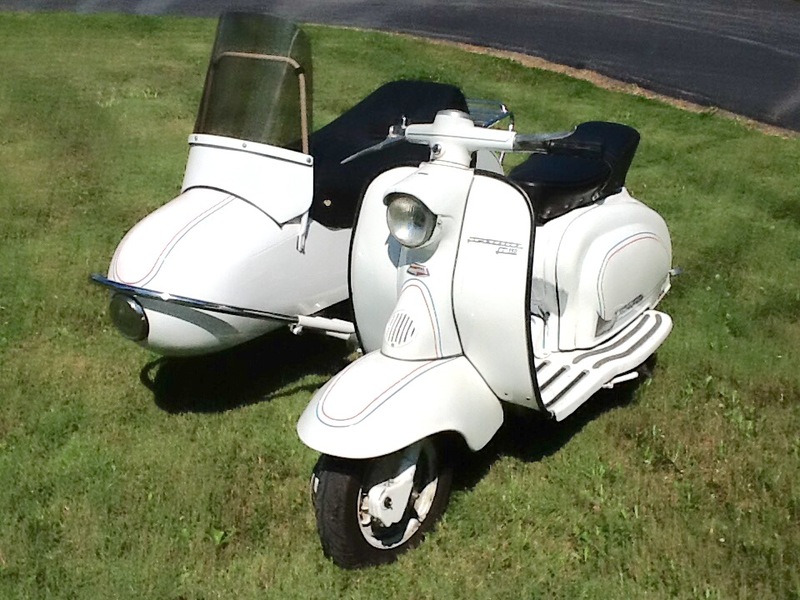 Bill form Michigan, USA kindly sent me some pics of his 1959 LI150 sidecar combination. Rather cool little set up! 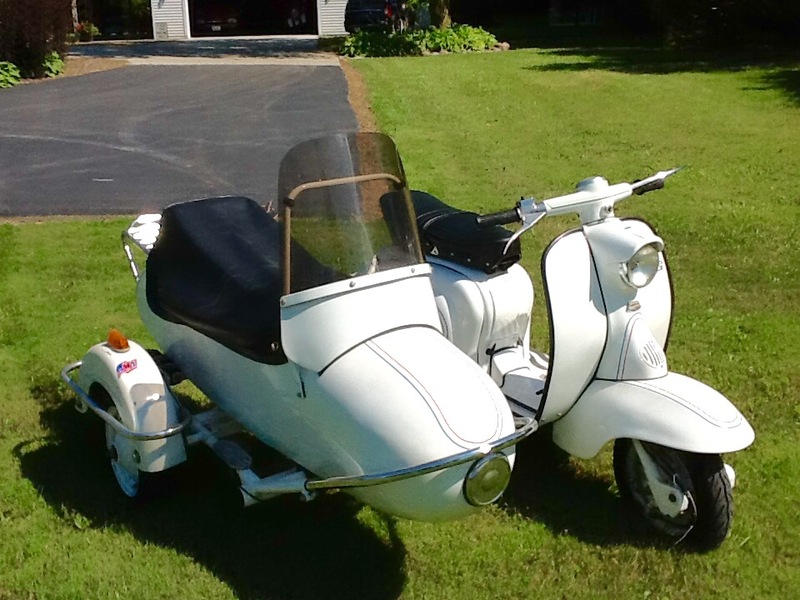 The pics of the garage where this little beauty lives also contain a couple of jags (and E-types and an XJS) and assorted Harleys and other motorcycles… lucky man. Regular readers may have noticed that I haven’t been posting so much, I’m afraid life has been getting in the way a little. 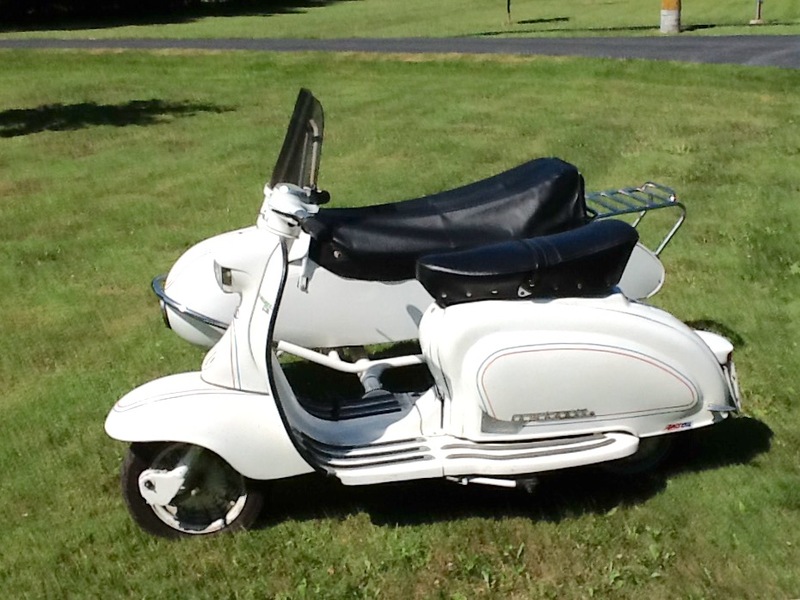 My passion for the Lambretta is undiminished, and I’ll be back posting as much as I can, as soon as I can. 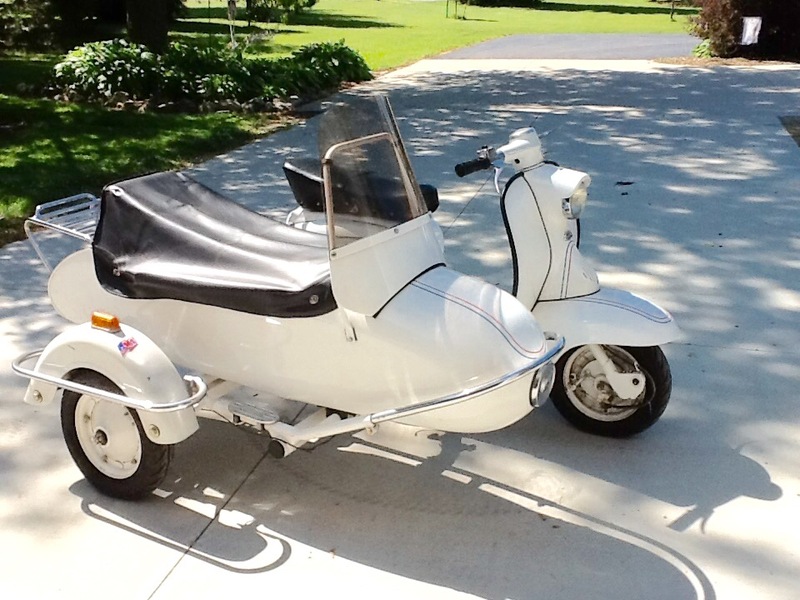 This entry was posted in Uncategorized and tagged 1958, LI150, Series 1, sidecar, sidecar combimanation, USA by crocodilejock. Bookmark the permalink.